Bathroom Reno Gold Coast will help bring your dream bathroom to life. Our renovation specialists will help you plan the remodel from start to finish. Its important for you as a valued client that you are assured in professionalism. You can rest assured that your new bathroom renovations will be spacious and easy to use. Functionality is just as important as good looks. Bathroom designs are unique in their presentation and finish. The Designer consultant/ builder will sit with you and plan out each detail taking into account the passion and desires of the clients ideas and concepts. These ideas and concepts are then matched with the best color schemes, tiling and tapware to bring about the final product in the master design. We do complete bathroom renovations, from grand scale designs and luxury bathroom designs to small bathroom design and innovation. Call now and speak to one of our friendly staff members and book your 100% free, no obligation consultation. Bathroom Renovator 4U Gold Coast designers have renovated many bathrooms in the Gold Coast and Brisbane areas. When it comes to bathroom renovation, every renovation is different. There are clients that require a completely new bathroom whilst others just require a simple renovation. Our bathroom renovator consultants are easy to work with and assist you in understanding all the technical requirements with ease. There are clients that require a completely new bathroom whilst others just require a simple renovation. 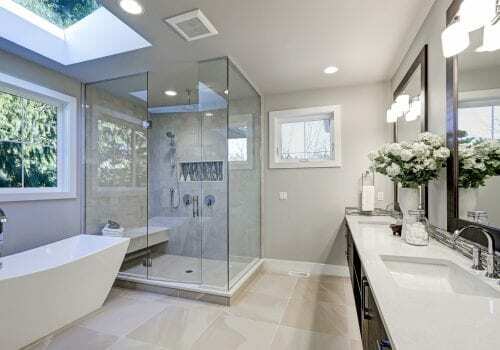 Best bathroom renovations &amp; new bathrooms. Over 20 years experience combined. Quality guaranteed. Bathroom Reno 4U interiors offer a complete interior bathroom and en-suite design, additionally providing a project management service. We understand that you’ll need to get a handle on pricing before doing any major bathroom renovations so here’s our bathroom renovation quick pricing guide. 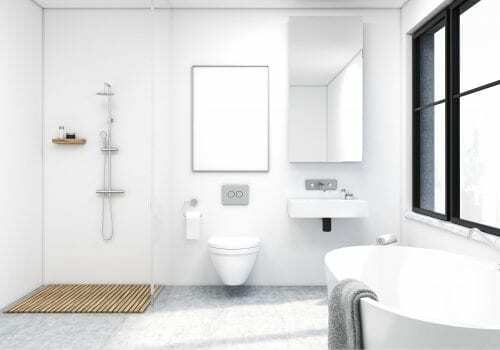 Typically a bathroom fitout can start from $5000 which is just a cosmetic makeover. Pricing varies based on the size of your bathroom, the materials you use, labour costs etc. We are unable to provide quotes over the phone as each project is completely different. You can refer to the FAQ about pricing for a basic guideline on what to expect. 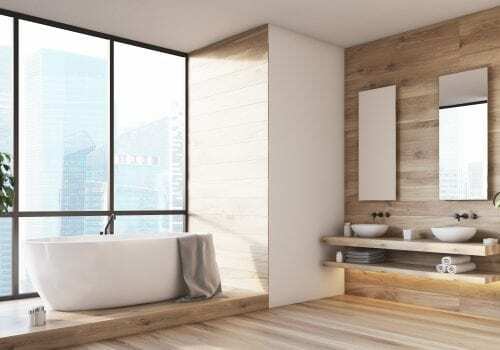 We offer a no obligation, free consultation to help you come up with the perfect bathroom renovation and will also be able to provide you a quote afterwards. We offer free initial consultations to make sure we are the perfect fit for your project. Depending on the project it could take as little as 1 week or up to 8 weeks. Do You Take Care of The Whole Project? 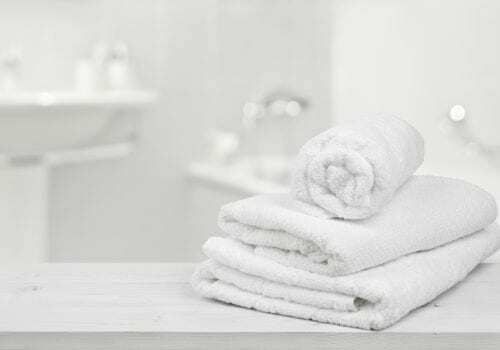 Our team takes the headaches out of your bathroom renovation by taking care of everything for you. Want to manage the project yourself? You will need to hire a whole range of contractors to get the job done and it can be extremely stressful. Architects: Help to design plans, ensuring everything is logically laid out to suit your lifestyle. You will be paying for the expertise. Carpenters and Cabinet Makers: They assist in installing custom storage in your bathrooms, such as a vanity, cabinetry or any other timber elements. This could include new doors. Electricians: They will assist in power points heating and lighting, ventilation and other components Painters: They will paint areas that are not tiled. This will need to be done with moisture and waterproof paint. Plumbers: The most needed trade in the house. Choose one with an excellent track record. 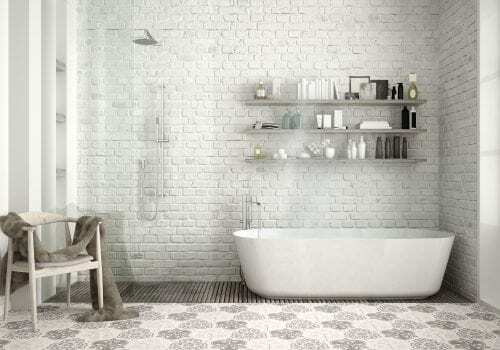 Tilers: Want the best looking and well-finished tiles. Then you’ll need to choose a good one. Grouting and measuring tiles is important in the final look. Waterproofers If Bathroom isn’t waterproofed properly then you’ll have big issues.